Partenza con il botto per la rinata Turtle Records, fragile e gloriosa creatura di Peter Eden nell'età aurea del jazz britannico a cavallo tra anni Sessanta e Settanta, ora sotto l'egida di Cherry Red: un mini-cofanetto contenente entrambi i volumi di Marching Song, capolavoro del 1969 della Mike Westbrook Concert Band, un terzo cd aggiuntivo (When Young) pieno di inediti e rarità d'epoca Deram a nome del quartetto e sestetto di Westbrook e della Concert Band con ospite Norma Winstone, più un ricco apparato critico e iconografico curato da Duncan Heining e Colin Harper e uno scritto dello stesso Mike Westbrook. Wow. Marching Song began as a one-off nine minute composition for a shelved album, recorded by Mike with a Sextet in 1966, previously unissued, it is included here as a bonus track on Disc 3. An expanded 15 piece Concert Band performance of the composition, by then developed into a 2 hour anti-war epic, first took place in 1967 at Plymouth’s Athenaeum. The full piece was finally recorded in early 1969 and released by Decca Records in the UK on their Deram imprint on two separate single LP volumes. In 1970 the LPs were combined for a 2LP release in the US. The recordings were produced by Peter Eden, then in the prime of his modern jazz producing tenure with Deram, capturing the cream of the British Jazz scene which had steadily risen from the mid 1960’s onwards. 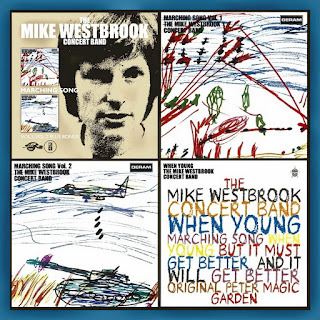 This box set also features on Disc 3 both sides of a single produced by Peter of Mike’s Concert Band with Norma Winstone for a one-off single in 1970, never before reissued. 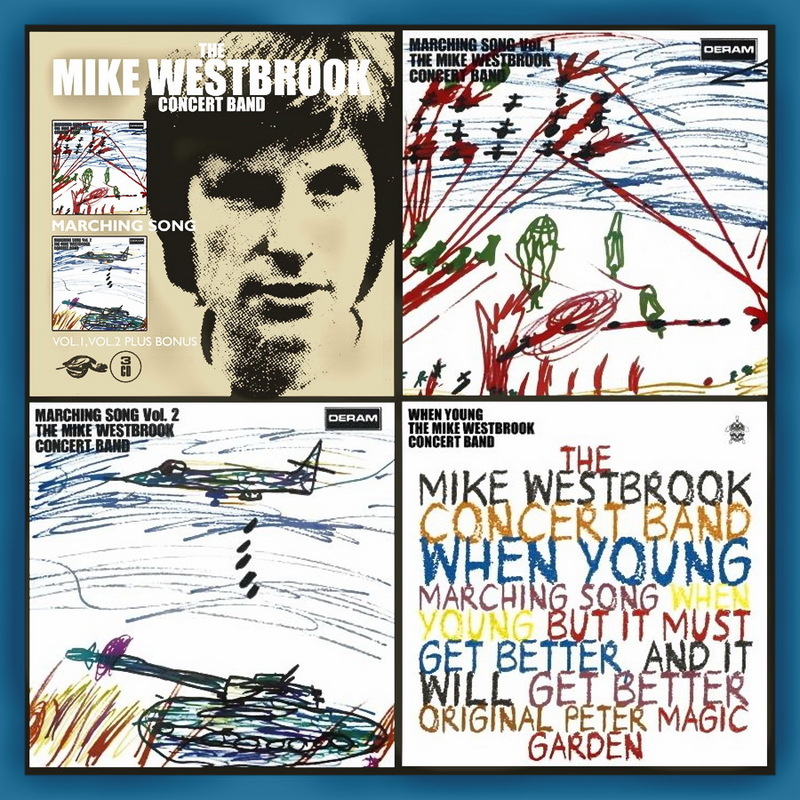 Two further bonus tracks are on disc 3, a 16 minute piece entitled ‘When Young’ and a ten minute piece called ‘But It Must Get Better’, both recorded as the Mike Westbrook Quartet in 1970, and previously unreleased. This box set of the two remastered Marching Song volumes, plus the bonus material mastered from the analogue tapes in Mike’s archive, are packaged with a booklet containing rare photographs from the 60’s live performances plus a major essay on Mike, and these compositions, by noted jazz critic and writer Duncan Heining.